DAVID LE/Staff photo. 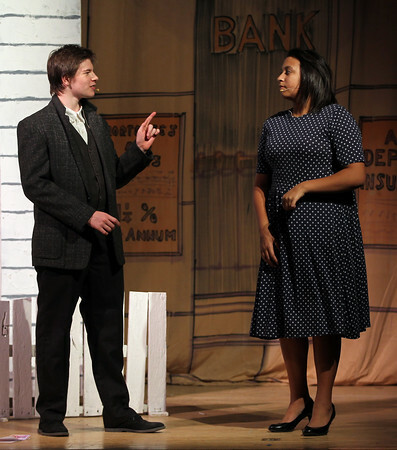 Rockport Middle School 8th grader Michael Newman plays George Bailey from It's A Wonderful Life, and rehearses a scene with classmate Marissa Exama, right, who portrays Ma Bailey in the middle school production. 12/8/15.